Each grain-free biscuit recipe starts with responsibly sourced animal proteins (cage-free poultry, grass-fed beef, and wild-caught fish). 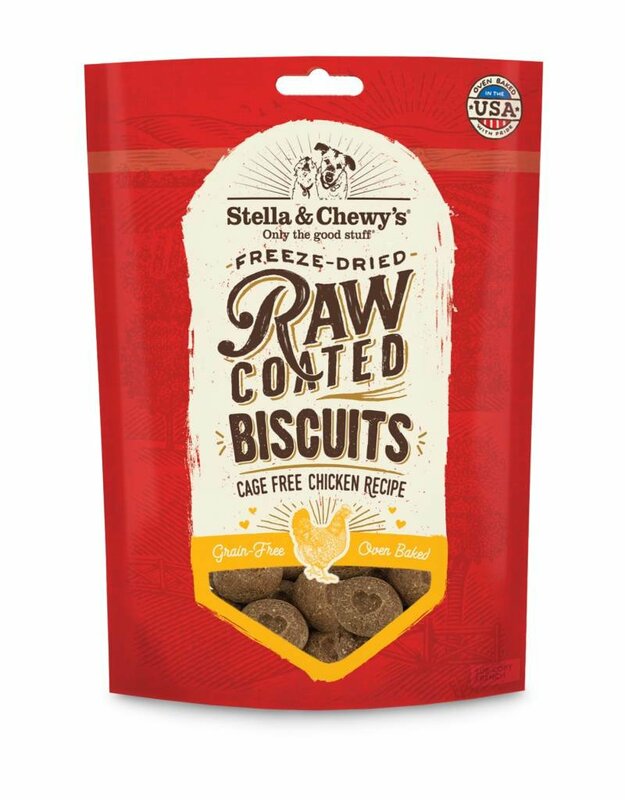 Next, we gently bake our biscuits resulting in a less processed, more nutritional and better-tasting treat for your dog. Finally, each and every piece is coated with our own special raw goodness! The result is a special combination of pure raw nutrition and great taste that dogs are wild about! 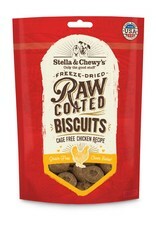 For a complete nutritional profile of this product, visit Stella & Chewy’s website.